Michael Harding’s Matt Varnish is made using real beeswax dissolved into the finest Portuguese Maritime Turpentine. It provides your paintings with a long lasting protective coating and gives a beautiful matt finish. Before using this medium heat the container with warm water until the contents run clear. Then apply one thin coat, which should dry within minutes. 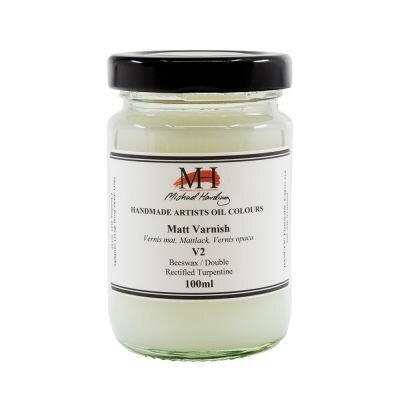 This varnish should only be applied as a final coat to thoroughly dried oil paintings. You should wait a minimum of 6 months for your work to dry before applying the varnish. A one year wait is necessary for thickly painted artwork to dry.